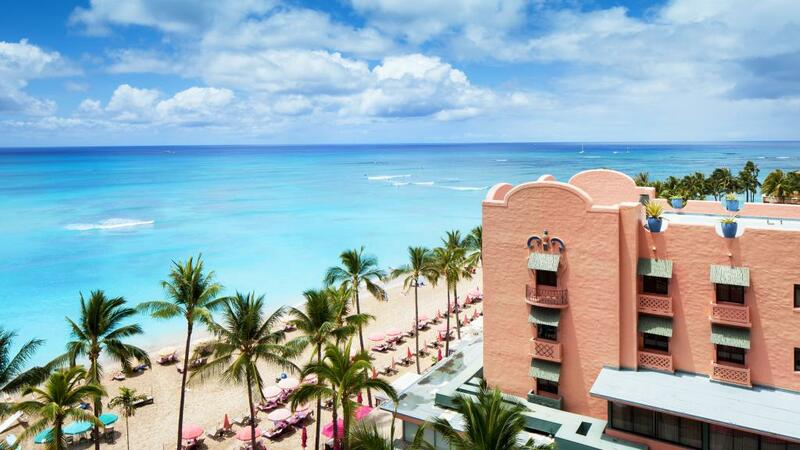 Located on Waikiki Beach with breathtaking views of the Pacific Ocean and Diamond Head, The Royal Hawaiian, a Luxury Collection Resort is an exclusive enclave for luxury and romance. Relax and enjoy this amazing beach front location, laze by the swimming pool and enjoy delicious meals at the onsite restaurant. This Honolulu accommodation boasts a range of room types to choose from to suit the needs of both couples and families.